If your business closes over the holiday period, and you’re 100% confident your data won’t be changing while you’re away, it’s quite likely that you’d rather be eating, drinking and being merry than disappearing off to needlessly change a USB hard drive. 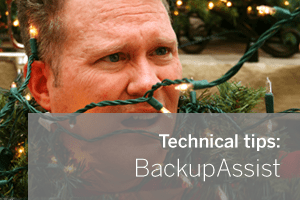 A little-known feature of BackupAssist may just ensure your home remains harmonious this festive period. The scheduling calendar makes it simple to prevent a backup from running on a specific day(s), and here’s how you use it. Launch BackupAssist, select Manage from the top menu. Choose the job that you want to prevent from running. Click Edit. Select Calendar from the left menu. Right-click a day on the calendar on which you want to prevent a backup from running and click Cancel backup. A dialogue box will appear where you can enter a reason of your choosing – “Concerned this will clash with Raiders of the Lost Ark” etc. Once you’ve entered a reason for the cancellation, click OK. 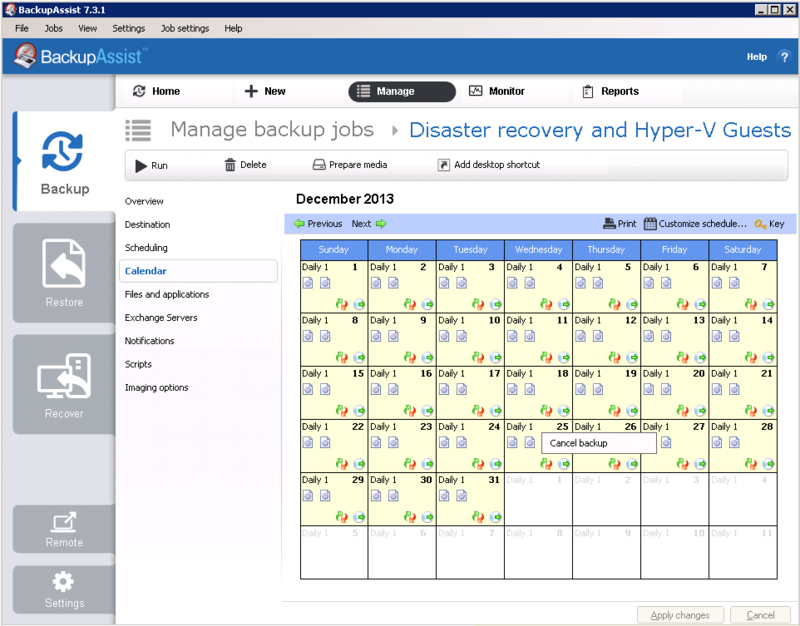 Simply repeat this process for any other days that you do not want the backup to run according to your schedule. Remember this is also handy to keep in mind for any planned network maintenance as well as public holidays. Wishing you an error message free Christmas!